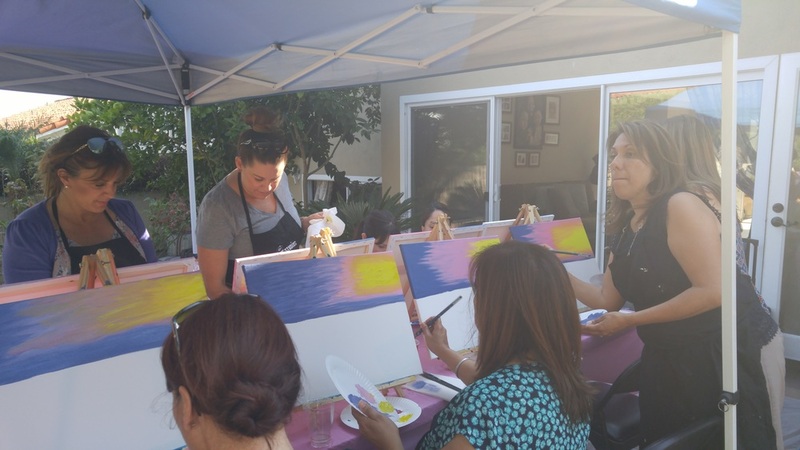 Pop Up Studios had another AMAZING time with some wonderful Orange County teacher's, and Lien's daughter Mia! I also had one wonderful assistant as well, Mia help me pump paints and get the party ready, a HUGE thank you to her! Also a BIG Thank you to Lien for hosting another party in her spacious backyard! 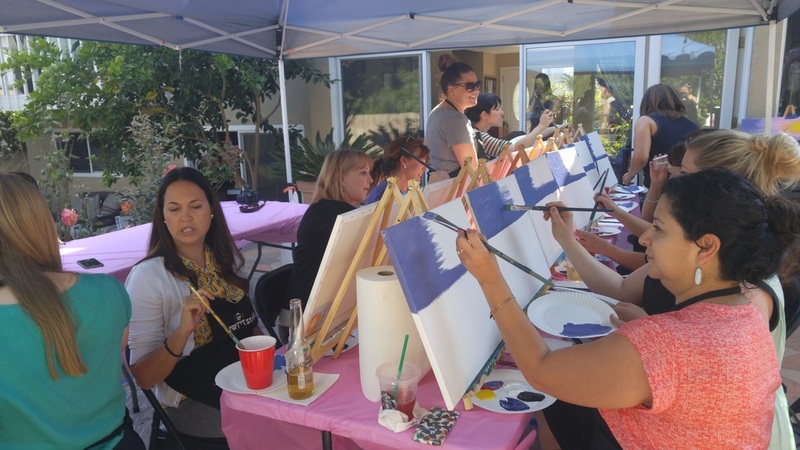 It was one heck of a good time teaching these ladies to paint "Sunset at Dana Point" I couldn't have been happier to take them through it step by step. We got paint on some clothes along the way, but thankfully it was caught in the nick of time. The moral of this story is just enjoy yourself, because in the end we had some amazingly gorgeous beach scenes and a bunch of smiling teachers! It was a great way to kick off the start of their summer and the end of the year. 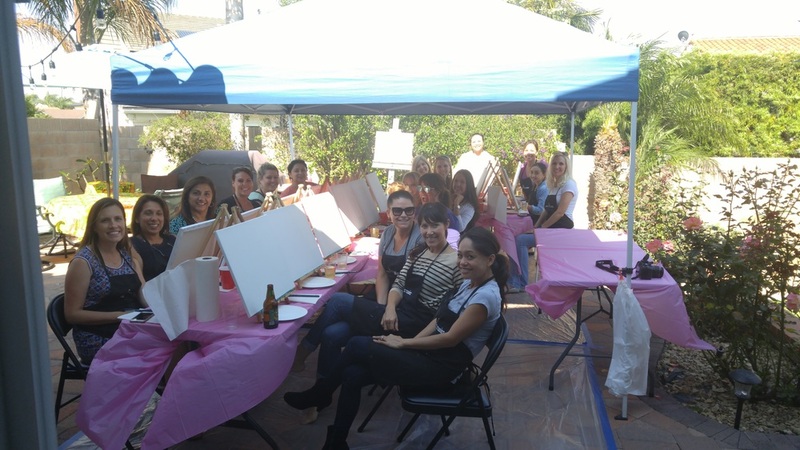 I can't wait to come back to Lien's for more fun and painting!